2013 Tournament of Champions winner: $250,000. 2012-B Teachers Tournament winner: $100,000. 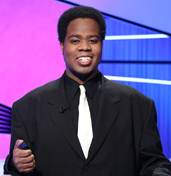 Colby appeared as a challenger on ABC's 500 Questions on 2016-05-28. He was unable to eliminate Season 22 2-time champion William Lee.